Metro Plumbing and Drains provides emergency commercial and residential plumbing and drains services throughout the Thorhill Area. Our qualified plumbers at Metro Plumbing and Drains provide complete emergency services in Thornhill Ontario. All our plumbers are punctual, reliable and professional guaranteeing 100% customer satisfaction all over GTA, including Thornhill Area. “It was the Friday before the long weekend when my daughter told me that there was no hot water! This was not an issue because we were leaving to our cottage for the weekend. However I did not wish to come home and have to start calling to get the water heater fixed. So I decided that I would get it fixed on Friday. But when I started calling different plumber companies they all have overtime rates just for coming to see what the problem was. Then I called Metro Plumbing and Drains. They told me that it was not the weekend yet and that there would be no overtime fees. I agreed to the FREE estimate and the plumber was at my house in about an hour. 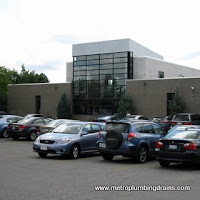 Metro Plumbing and Drains provides 24/7 emergency plumbing and drains services all over Thornhill Area and GTA.